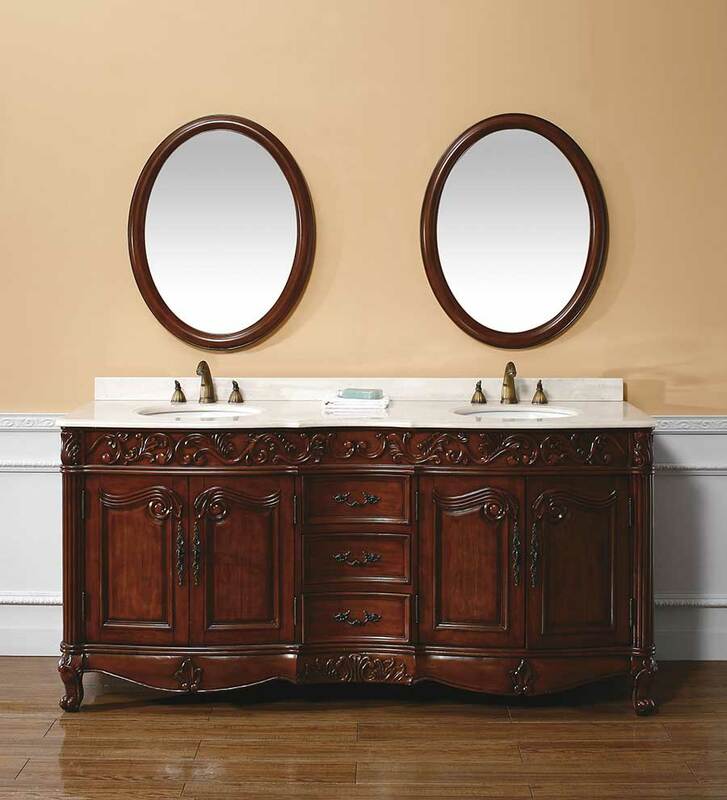 The Lanciano Double Bath Vanity features a cherry finish on a Grade A solid cherry cabinet. 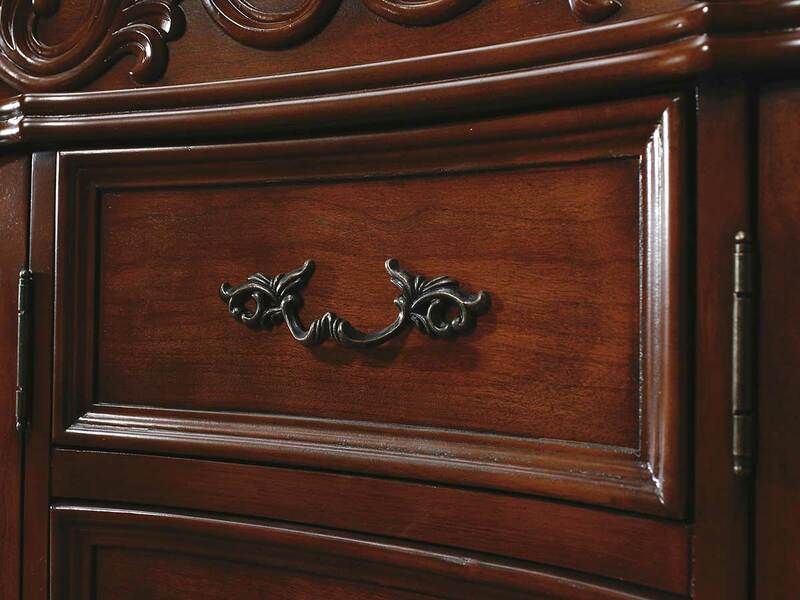 The wood is kiln-dried to prevent warping and cracking. The cream marble top is finished and sealed to protect against staining and water marks. It also features a multi-layer, 12-step han glaze finish the prevents peeling, cracking, and fading. 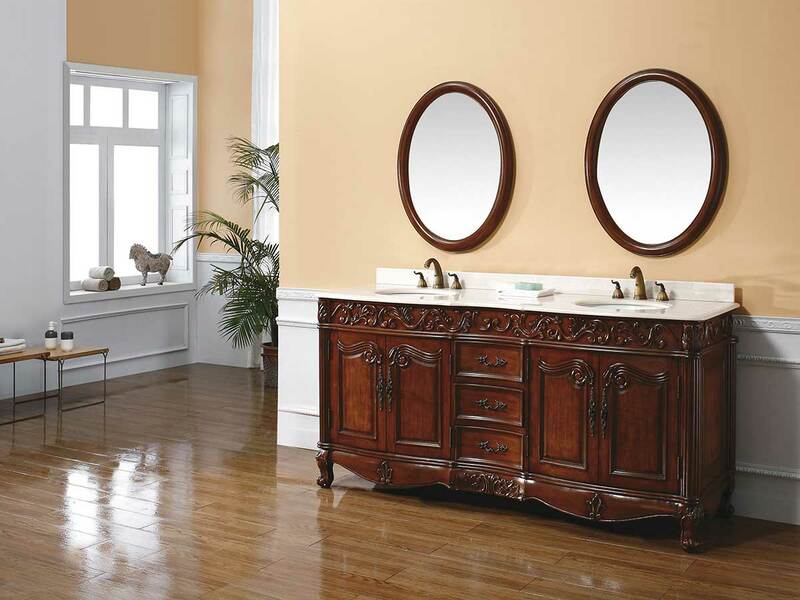 Four doors and three drawers offer ample storage and organization. 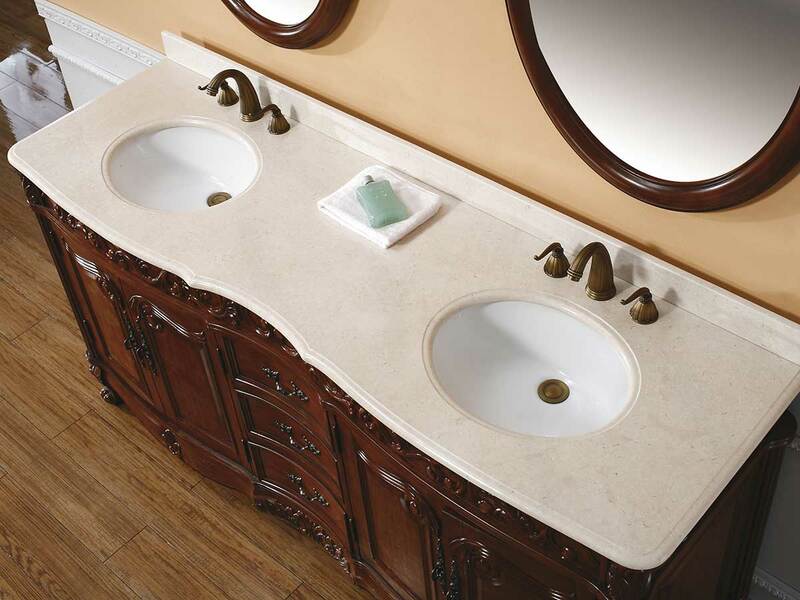 This vanity makes a handsome centerpiece for the master bathroom. 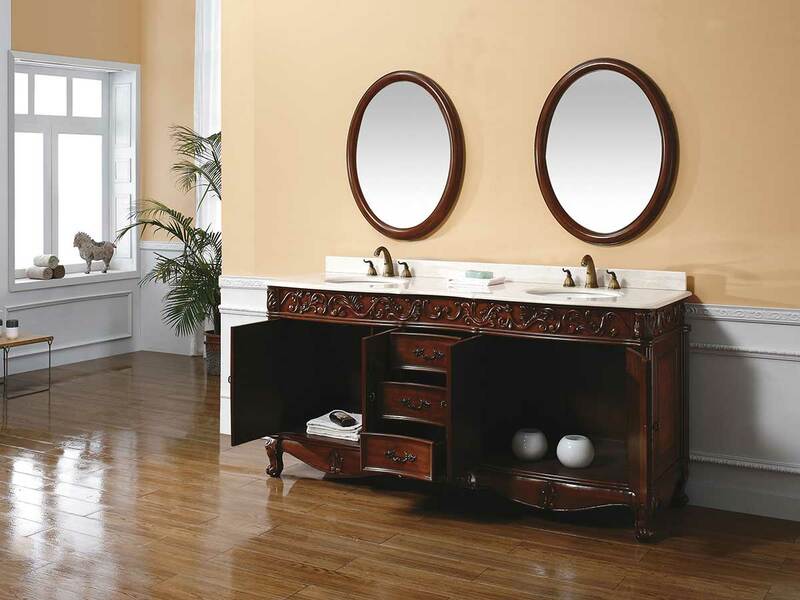 Complete the design with a set of two matching round mirrors. Faucets sold separately.